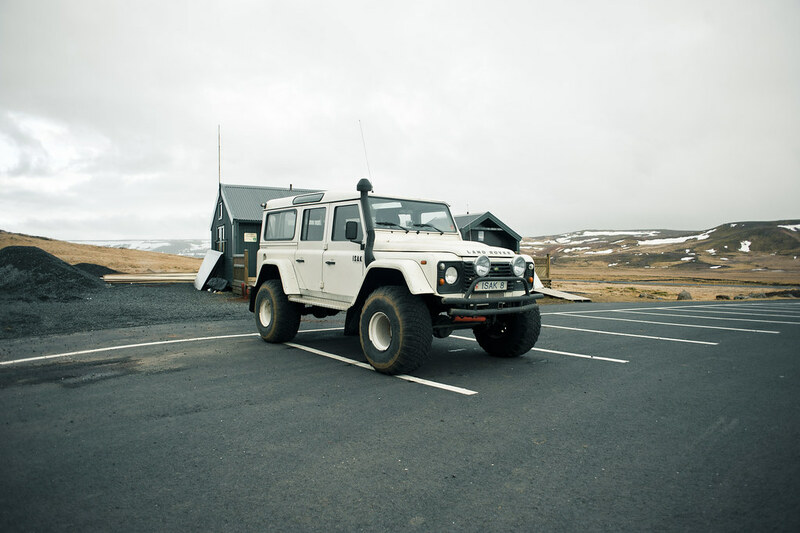 When traversing the unpredictable terrains of Iceland’s back country roads, selecting a vehicle capable of handling such uncertainty seemed like a daunting decision. 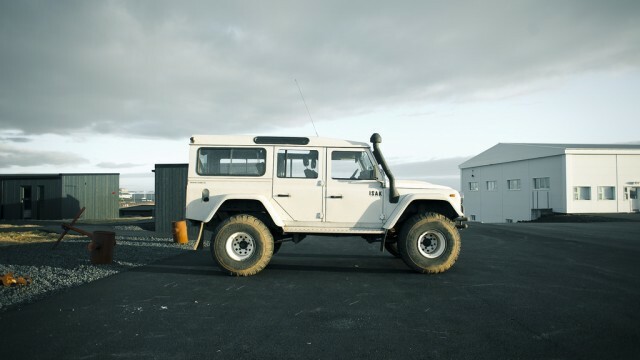 Thankfully, the Nordic locals from ISAK Icelandic Truck Rentals recognized this challenge and developed an all-terrain machine they named: THE SUPER DEFENDER. 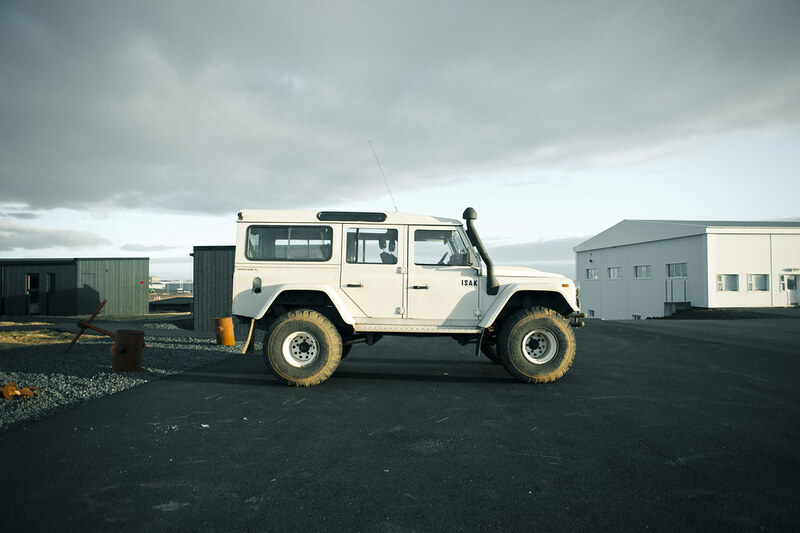 To preface, ISAK began as a small tourist company that guided visitors to the remote regions of Iceland’s inner glaciers. 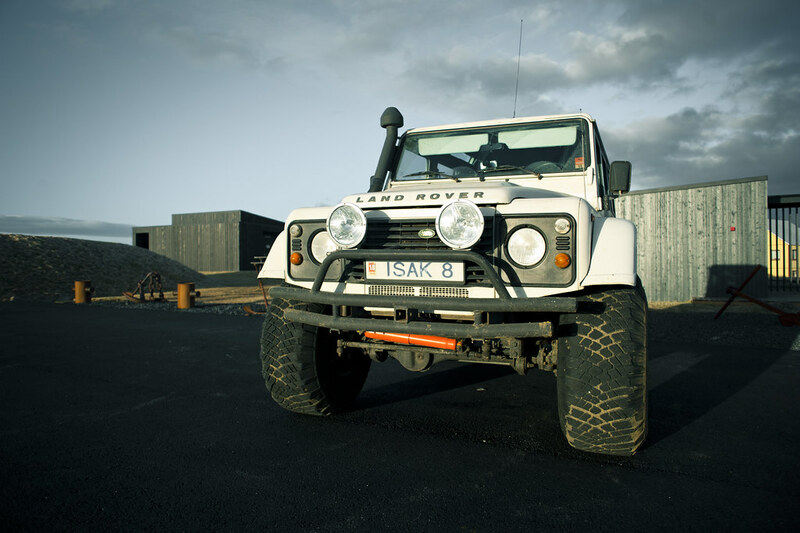 In order to access these glaciers, ISAK modified classic Land Rover Defender 110′s to support the tour guides and travelers. 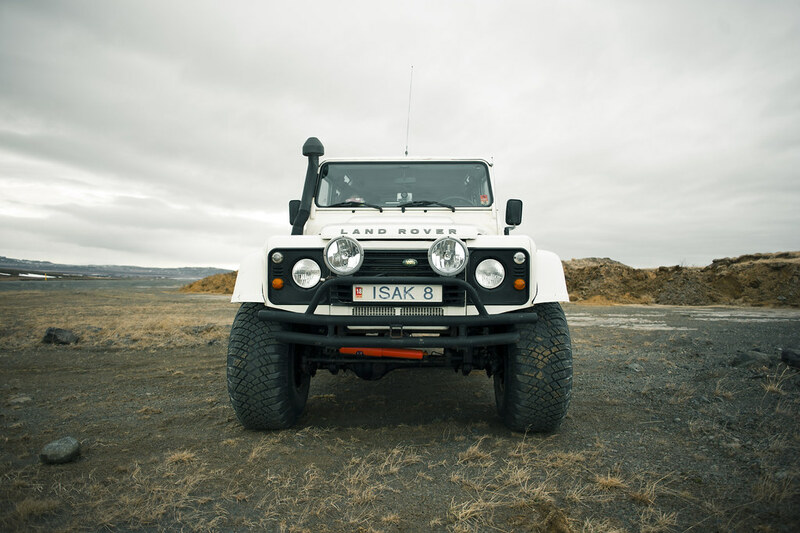 Over the years, tourists became more inclined to self-guide themselves around the country and as such, ISAK imported and modified more Defenders to meet this demand. 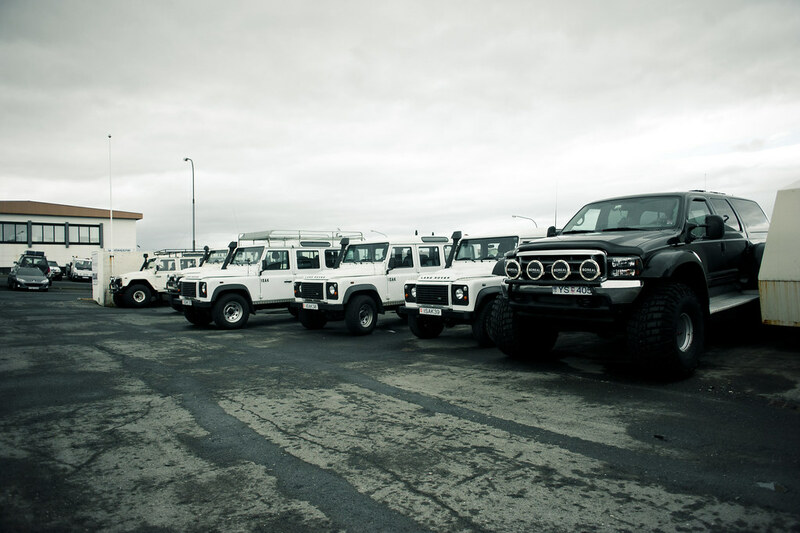 Today, ISAK has a fleet of Defenders that are tuned at their shop and headquarters, ready to explore Iceland’s toughest trails. 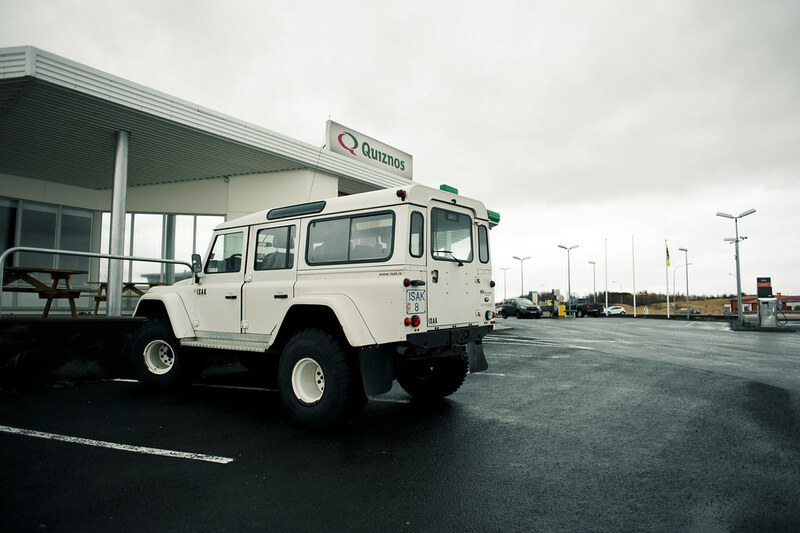 We selected the Super Defender because of its added capabilities and our unfamiliarity of the region. 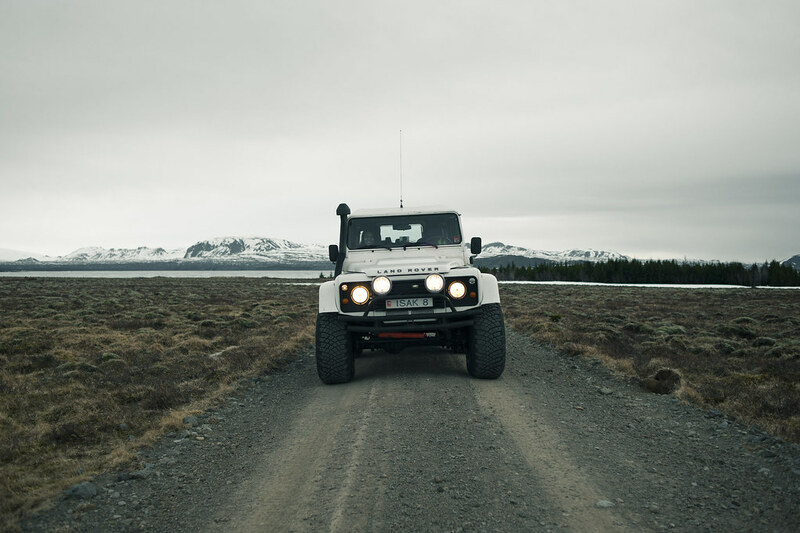 In Iceland, highways turn into gravel roads and rutted trails without warning, so having the height clearance and the ability to self-recover with no help nearby was essential. 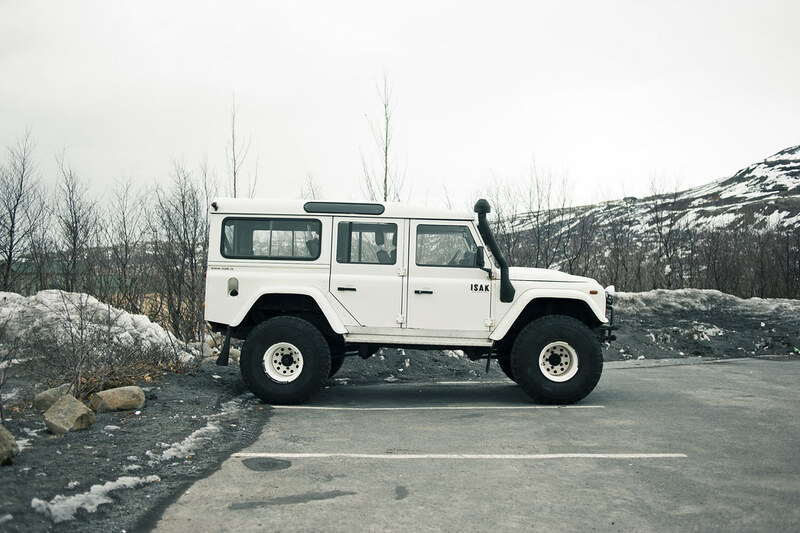 Some added features were an on-board air compressor to deflate the 38” tires as well as lockers on both front and rear differentials. 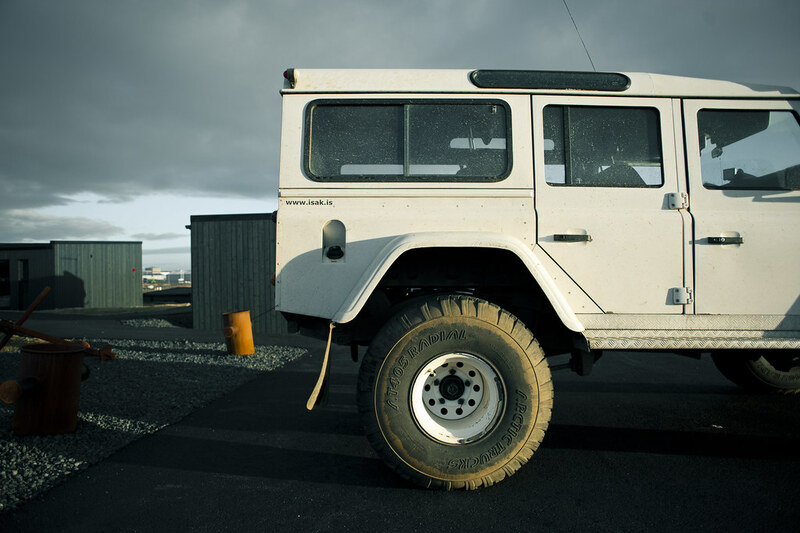 Piloting the 6-speed manual turbo diesel platform took some getting used to at first, but after the close-ratio transmission was understood, driving was pure bliss. 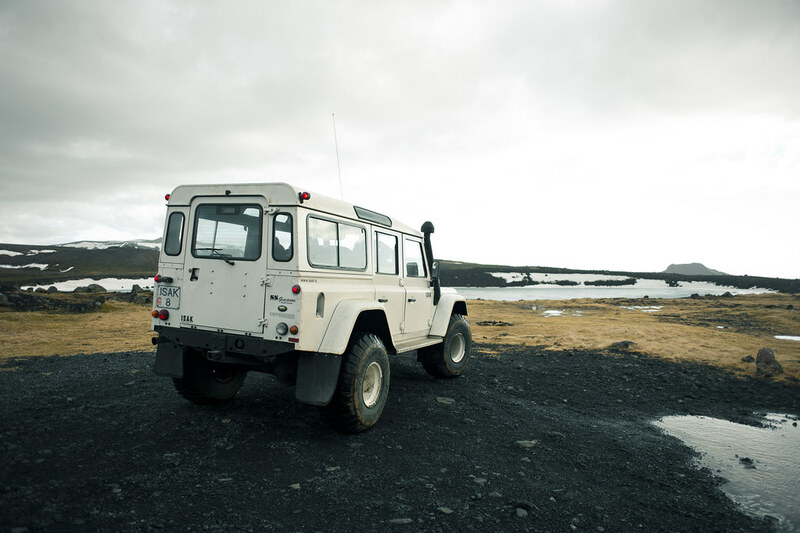 The Super Defender was our main mode of transportation during the entirety of our trip. 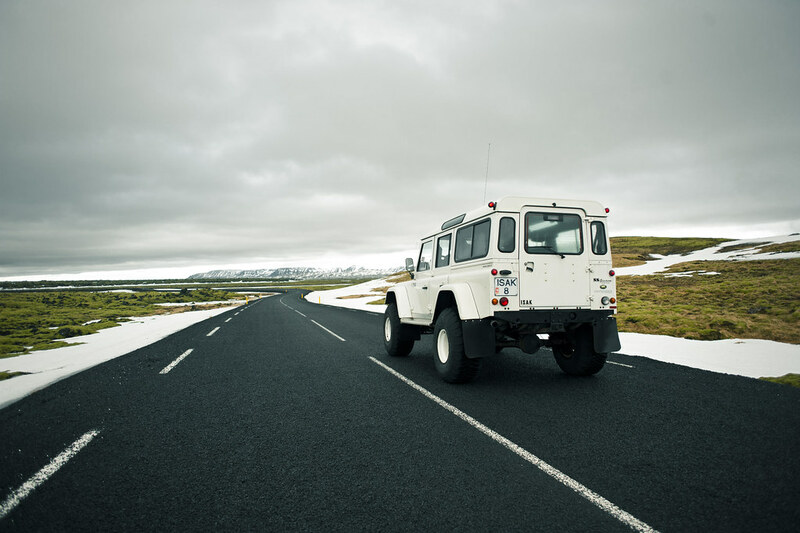 At times, my wife and I would be the only ones on the ring road for miles on end, capturing the incredible landscape views. 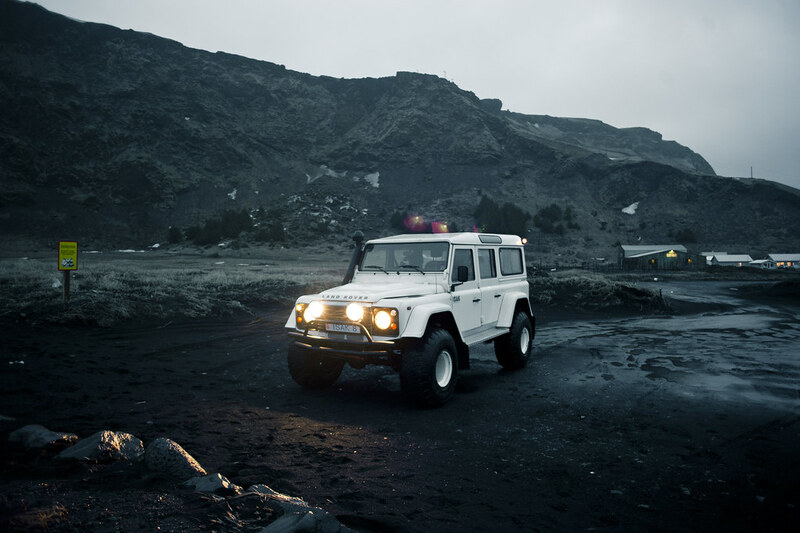 Navigating the over-sized vehicle through dense urban cities and un-maintained trails became part of the adventure itself, blurring the lines between the journey and destination. 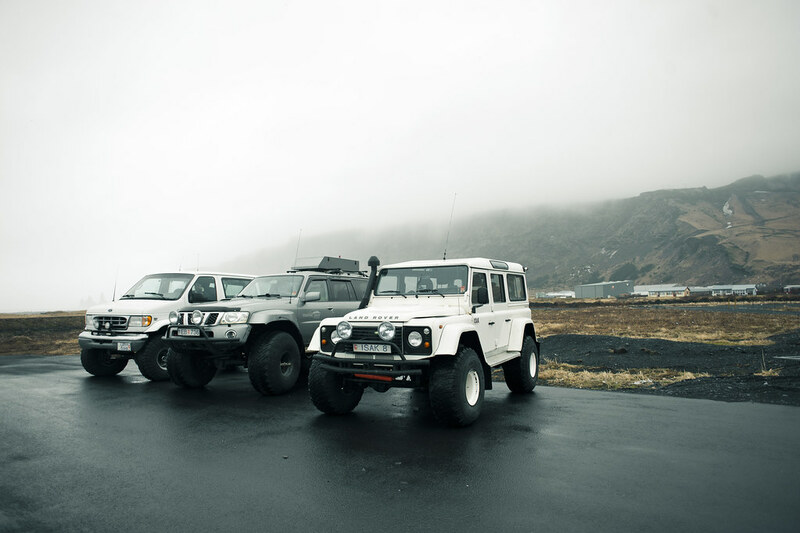 We look forward to an opportunity like this soon.